Application forms to be part of the School Tours are now available. 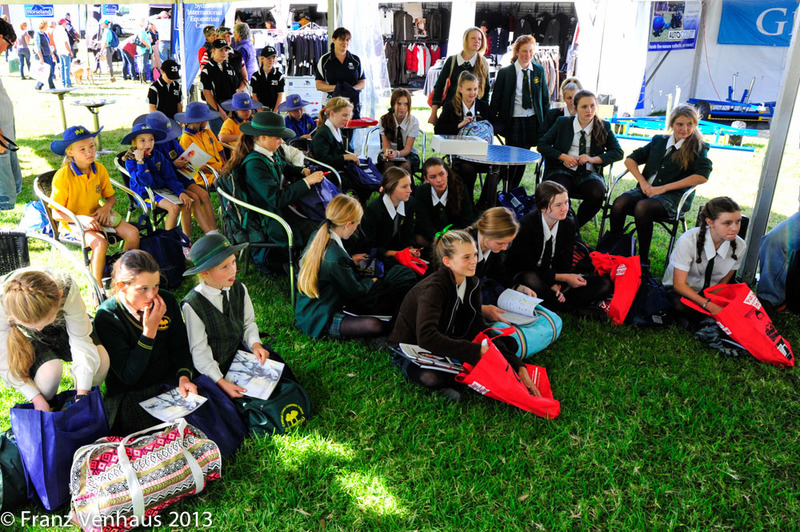 Go ‘behind the scenes’ into the security controlled stable area where the school groups get to talk with the riders, meet their Grand Prix horses, as well as learning about the staging of an International Equestrian event from officials such as the Stable Manager, Event Veterinarian, Chief Steward, Coaches and Internationally accredited Judges. Our school tours are led by experienced Judges and Officials and last year over 150 school children accepted our offer, coming from all over the state. Itineraries will be given to all the schools once the bookings have been confirmed. This is a one-off chance to go behind the scenes at a premier international horse event, and it is offered FREE to Schools on Thursday and Friday. Ask your School now to take advantage of this exciting offer and book early for your excursion to the next Sydney CDI 3-Star. This offer only applies to Schools who book as a group and not for individuals.